We’ve been passing on plenty of information to readers about the upcoming Nokia Lumia 920 due to release on AT&T in the US. This is a flagship device for Nokia and is attracting a lot of attention right now and will be one of the first smartphones to be released running the new Windows Phone 8 operating system, also to be unveiled shortly. If you’re wondering when you’ll be able to get your hands on the Lumia 920 on AT&T it seems evidence is mounting that it will hit the shelves on November 4. 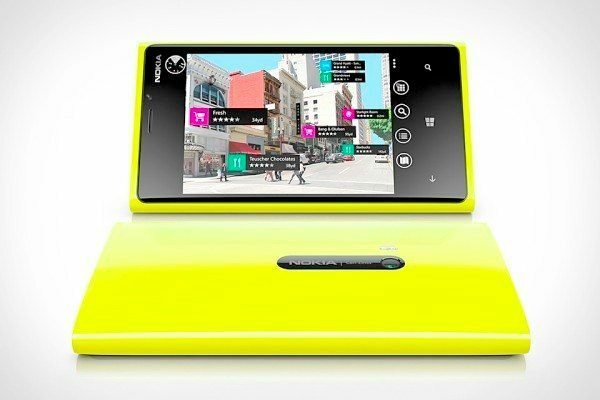 The Nokia Lumia 920 will come in an array of bright colors and we recently discussed whether or not it was an exclusive for AT&T stateside. Although details of exclusivity are still not clear we do know that it’s headed to AT&T as the giant carrier recently announced it. As for a release date though the only thing known so far was that it would launch at some time in November. Now we have heard that certain sources say it will appear on November 4, which is a Sunday and consistent with AT&T releases. A few weeks ago we heard rumblings that October 21 was a key date for the Lumia 920 on AT&T. At that time it was thought that this could be an actual release date but as AT&T has now said November that put paid to that idea. However it’s now thought that this date of October 21 could still be important but rather than the launch day could be when AT&T announces the release date and when pricing will become available. WPCentral then reports that pre-orders are likely to follow on October 26. We now expect that Windows Phone 8 will be good to go on October 29 as Microsoft is holding an event about the operating system in California on that date. It makes sense that Nokia and AT&T will want to be among the first to get a smartphone running Windows Phone 8 on the market and November 4 is the first Sunday after the unveiling of WP8, making this seem like a promising date for release. WPCentral reports this news as a ‘confirmed’ release date and while we wouldn’t go that far until we hear it from Nokia or AT&T, it certainly looks as though the Lumia 920 is highly likely to hit the shelves on that date. It will certainly be interesting to see first if that ‘key’ date of October 21 for the Lumia 920 on AT&T does indeed bring further developments and of course we shall bring you further news on this as we hear it. In the meantime you may be interested in taking a look at our comparison of the iPhone 5 and Lumia 920 in case you still haven’t made up your mind. We’d like to know if you are an AT&T customer eager to get your hands on the Nokia Lumia 920? What has made this your next choice of smartphone? Let us know with your comments. I will dump this iPhone 4 and upgrade to a Lumia 920 as soon as I possibly can. I will be doing exactly the same thing. The iPhone is coming to an end of an era. A revolution which has caused an evolution. poor steve jobs. guess, you have dedicated your life to iphone. but everything has messed up when you die. I am dropping my iphone 4 and getting a lumia 920. I was going to get an iPhone 5. But I don’t like the design of it too thin for the height, aluminum bending and scratching, to add to that the maps issue. I don’t like android and there’s only one model for new iphone. So I looked elsewhere. Windows phone is pretty cool. And I like the design for the lumia 920.